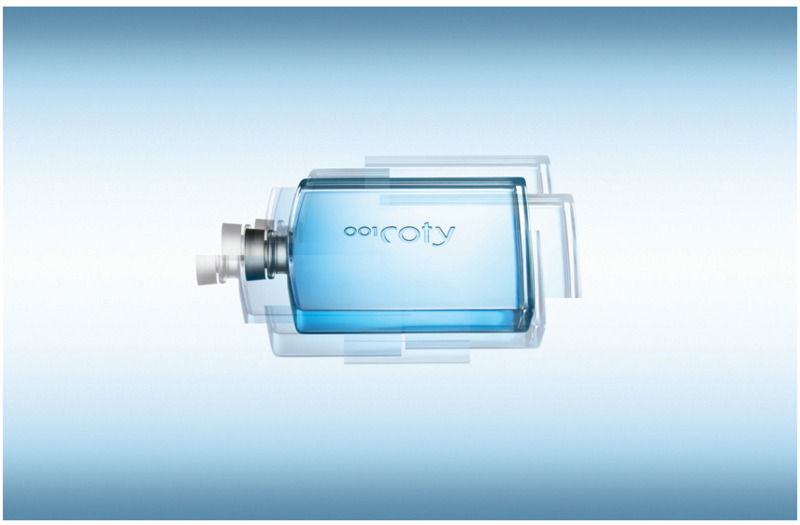 001Coty is perhaps one of the most under-the-radar fragrances ever. A limited run of 5000, it was already doomed to obscurity. The most intriguing thing about this fragrance (besides its notes!) is the utter lack of reviews available on the internet with the exception of it being briefly mentioned in a complaint about marigold fragrances at the Vintage Perfume Vault blog. Perhaps it is for this reason that I won a sealed flacon for only $9.99 - I was the only bidder. It's a shame, really - this is a wonderful, quality fragrance. The opening is fresh and pretty - a sweet, delicate marigold with the liquid dewy sweetness of lily-of-the-valley - or is this the almond blossom? I was really surprised by this part - it's quite fresh and not at all what I expected. Then the synthetic alarm-clock buzz of freshly printed circuit boards appears. I'm very familiar with this scent; I was very fond of circuit-bending toys a few years back when I made a lot of experimental electronic music. It smells like the inside of a cordless phone - with that particular hard black plastic that's manufactured in China. This is only used as a building block here, however, and the effect is at once strange and bracing. Legend has it that the perfumer, Jim Krivda, used a headspace reconstruction of static electricity from polyester here. I honestly am inclined to believe this, considering he's now the vice-president of Mane, the company that brought us the absurdly innovative Jungle Essences. Perhaps it's these two scents together that give others that "is that a huge dose of calone" feeling. As the scent continues to warm, the synthetic notes begin to blend into what must be cashmeran with a beautiful and elegant modern oriental base - slightly woody and powdery, but still with a liquidy freshness. The licorice is an accent to what smells like hedione and jasmine. I'm not sure what is really the drydown here, as it keeps shifting back and forth, but that's a good thing. There is a lot of subtle dynamism here, and what seems to be very good quality ingredients. It is strange yet wearable, something akin to the wonderful fragrances of Etat Libre d'Orange. There are harsh synthetics living alongside high-quality absolutes and hi-tech extractions, and the entirety comes together in a highly abstract but successful manner, a sort of sans-souci, elegant artsy vibe throughout. I'm not sure what the concentration is - it could be cologne or parfum. It's hard to guess! 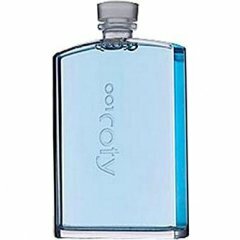 It has an average longevity and good sillage although it has a lightness to it that suggests an Eau de Toilette. The packaging is cheesy and cool - it comes in an inflatable vacuum-pack bag used for cheap electronic components. The soft rubber inner case is reminiscent of a portable hard drive. The bottle, on the other hand, is gorgeous. It's a small, perfectly rectangular glass flask with a ground glass stopper and the fragrance's name sandblasted into the glass. 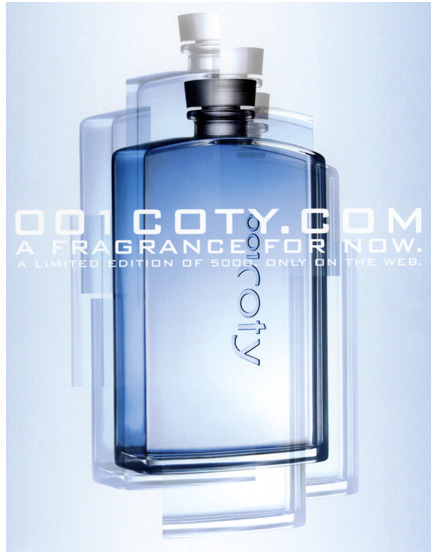 Write the first Review for 001Coty!